The 2019 PPPoker World Championship (PPWC) is nearly upon us with the much anticipated festival set to take place on February 15 to 21 at Resorts World Manila in the Philippines. The festival boasts of P30,000,000 (~US$573,000) in guaranteed prizes with 11 events throughout the 7-day schedule. One of the first highlights of the series is the Teams Event with a P10,000,000 (~US$191,000) guarantee. This event is shaping up to be quite thrilling with several teams from around the world already confirmed. More are certain as we get even closer. The current lineup includes: Team India, Team Malaysia, Team Thailand, Team Brazil, and the latest, Team Norway. Additional teams like Australia, USA and Philippines are also expected. Team India comprises of Pulki Totla (captain), Rishab Jain, and Kalyan Chakravarty. Team Malaysia will be represented by six players: Darian Tan, Ying Lin Chua, Alex Foo, Alvin Mak, Paul Teoh, and Xiu Meng. Team Thailand weigh in with four members: Kannapong Thanarattrakul (captain), Thanisorn Saelor, Kajornnut Prirungrueng, and Wanchana Valaikanok. The first confirmed team outside of the Asian region is Team Brazil. They are bringing in a strong roster of 6 players: Gabriela Belisario, Rafael Oliveira, Natanael Silva, Caio Hey, Eder Murata, and Marcelo Lanza. Team Norway is the first team from Europe to confirm attendance. Four players make up this powerhouse team: Borge Dypvik (captain), Markus Garberg, Henrik Tollefsen, and Thomas Floan. In Day 1, all teams compete in three varying NLH formats: 6 Max SNG, Double Heads Up, and Heads Up. Teams with the highest points advance to Day 2 where they will once again compete in these three formats. Only two teams advance to the final day where they compete in these formats for the last time to determine the ultimate PPWC World Teams Event champion. Apart from the Teams Event, what everyone will have their sights fully set on is the Main Event with its P20,000,000 (~US$382,600) guarantee. The event runs a total of six days from February 16 to 21. Buy-in is P55,000 (~US$1,052). For those looking to jump in the Main Event at a lower cost, there are five satellite events scheduled at P6,000. Interestingly, there is also one other for P3,000 called the Raise of Fold Main Event Satellite. Those are the only two actions you can take on your turn. There will also be High Rollers event running from on February 19 to 21. Buy-in is P110,000 (~US$2,100). There are four satellites to this event with two with a turbo structure. 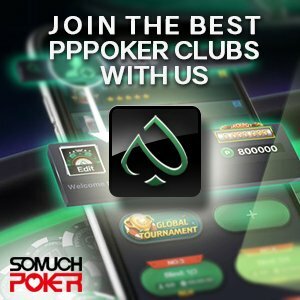 Other events include the Mixed Game, PLO, Deepstack Turbo, Monster Stack NLH, Bounty Event (10K/bounty), 6 Max NLH, Shot Clock Bounty Event (6K/bounty), and lastly, PPPoker Championship NLH Freezeout. The winner of the PPPoker Championship NLH Freezeout automatically qualifies to the 2020 PPWC Main Event.